On Monday 09th May 2016 a transit of Mercury will occur visible from the vast majority of the populated world including the America’s, Europe, Africa, the Middle East and Asia. The only exception being far Eastern Asia, Indonnesia and Australia. The whole event lasts up to 7 and a half hours. 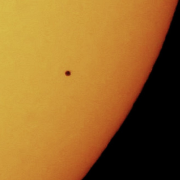 The last transit of Mercury was back in 2006. As the illustration below shows, Mercury will begin passing infront of the sun at 11:12 GMT by appearing on the Sun’s Eastern limb at roughly a 9 ‘O clock position. The tiny planet will then slowly progress from left to right across the Sun’s disc finally leaving the suns Western limb at 18:42 GMT. 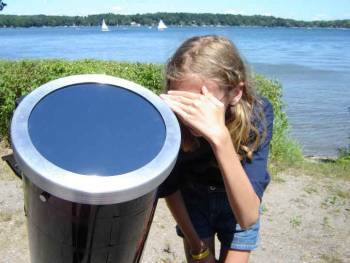 It will prove very difficult to see the transit of Mercury by using just solar eclipse viewing glasses. Eyepeiece or pinhole projection will also prove very difficult as the planet is so small. The only way to view the transit effectively would be through specially filtered telescopes. Either a dedicated solar viewing scope or a telescope with a solar filter made out of baadar solar film infront of the primary lens. There are many other solar viewing solutions available on amazon. It goes without saying to never view the sun directly at any time without approved solar filters or viewers!